Chief Khalsa Diwan’s museum in Amritsar. A unique museum and a music school of the Chief Khalsa Diwan here are doing yeoman service in preserving ancient stringed instruments.The museum, located inside Diwan’s orphanage premises here, has scores of string and folk instruments. Among the most significant preservations of the museum is rebab, a stringed instrument which was used by Bhai Mardana, a companion of the first Sikh guru, Guru Nanak Dev. There are scores of other stringed instruments like the sarangi, taus, saranda, dilruba, Saraswati veena, sitar, tanpura and sarod. Then there are folk instruments like bigal, kato, dhad, ghara, algoze, chimta, dafli, tumbi (ek tara), nagara, dholki and dhol. The museum has been tastefully decorated with pictures representing 31 ragas mentioned in Guru Granth Sahib besides photographs of noted musicians. 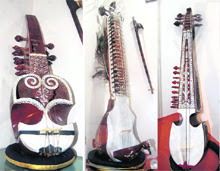 The museum was inaugurated on July 28, 2009, though the Diwan’s music school, Bhai Veer Singh Gurmat Vidyala, had been training students in stringed instruments since 2007. They said the students could opt for any instrument on which they would like to be trained. Among the stringed instruments, the school facilitates training in dilruba, saranda, sarangi and sitar. However, they are finding it tough to zero in on teachers who can train the students on the most ancient instrument, rebab. The school has produced a number of ‘raagi jathas’ out of which seven are performing at the Golden Temple at present while others are also engaged in different gurdwaras. The three-year missionary course is aimed at producing ‘raagis’ and katha vachaks (preachers). Chief Khalsa Diwan's Honorary Secretary Bhag Singh Ankhi said they had a tough time collecting ancient string instruments and getting their replicas made for the museum. 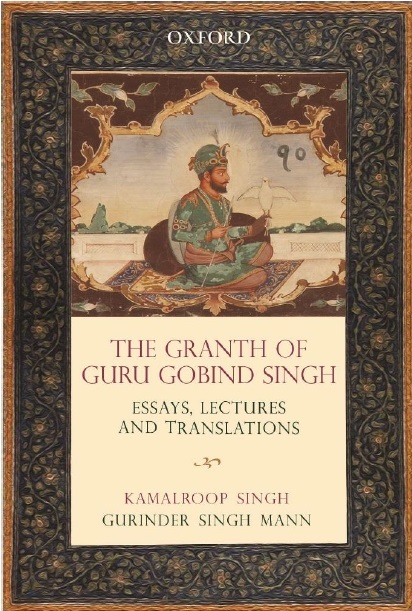 “The rebab which we have in our museum is not of the same description Bhai Mardana had but it is a somewhat modified version of it.” He said his sole aim at the time of building museum was to acquaint the new generation with these instruments. “At least they should know how an instrument looks like,” he averred. It took him three years to collect these instruments, most of which came from philanthropists. Ankhi made a fresh appeal to the people to provide them any ancient musical instrument so that they can get its replica made for their museum.